Books are the gift that just keep on giving, aren’t they?! They’re worth so much more than the latest toy that lasts a whole five minutes. 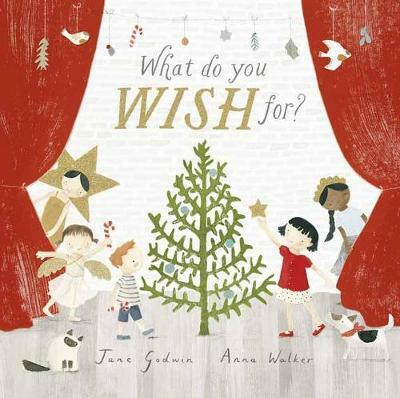 Here’s a small roundup of some great books for kids that make for beautiful gifts and can be shared over the festive season and well into the holidays. 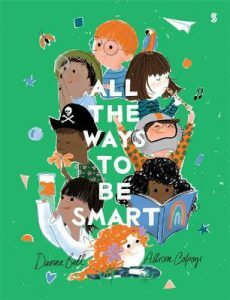 All the Ways to be Smart, Davina Bell (author), Allison Colpoys (illus. ), Scribble, October 2018. This is the fourth time this superlative duo have come together, following the successes of The Underwater Fancy-Dress Parade , Captain Starfish and Under the Love Umbrella. Bell and Colpoys will be winning awards once again with this stunning picture book that is so intelligent in its own way. For all children wondering what their kind of smart is, this energetic rhyming guide reinforces a confidence that there is certainly more than one. From artistic endeavours to scientific explorations, using your imagination to skills in building, retaining important facts to showing compassion and empathy are all but a few. Coordination and music abilities, polite manners, ‘feeling scared but taking chances.’ The list is endless and these book creators have absolutely nailed it with their verve, humour, versatility and diversity. The language rolls off the tongue to perfection, whilst the neon colours draw your eye just the way an artist should. All the Ways to be Smart – adding much brightness to any child’s mind – in more ways than one. What Do You Wish For?, Jane Godwin (author), Anna Walker (illus. ), Penguin Random House, October 2018 (Paperback). What Do You Wish For? puts a smile on every face and a glow in every heart. It’s that all kinds of fuzzy warmth, peace and togetherness that Christmas time really represents. Godwin’s intention for this book is for readers to understand that this time of year is, and should be, one of gratitude. The combination of her inspiring, tender words, and Anna Walker’s beautifully dreamy, intricate illustrations, is simply divine. There is an excited buzz in the air every Christmas. Ruby and her friends always put on a special show in the park, and write a wish to hang on the tree. But Ruby’s wish is too big to write on a little piece of paper. Her wish is of spirit; it’s made of smells of baking, candlelight amongst the dark, wonderful surprises and quality family time. But most of all, her Christmas wish is one of complete serenity, and a warm sparkle in the sky. What Do You Wish For? is the most magical treasure for any young reader and their family to cherish this Christmas. 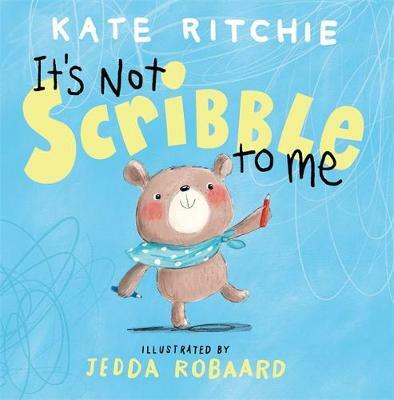 It’s Not a Scribble to Me, Kate Ritchie (author), Jedda Robaard (illus. ), Penguin Random House, 2018. I always love books that encourage exploration of the imagination. In this one, it’s the walls, floors and windows that get to discover what the bear child is conjuring up in his mind – much to his family’s dismay. The little bear speaks a lyrical tongue as to what his crayon and pen scribbles represent. A red Santa makes an appearance above the fireplace, a green frog on the toilet, a black witch inspired by broomsticks, a blue frothy sea and yellow splotchy bumbley bees. It’s amazing what each colour of the rainbow can be turned into, and where they happen to turn up! But somehow, this cheeky bear is able to win over the family with his colourful, magical, whimsical, wonderful charm. A beautifully alluring, absolutely sweet, vivacious and child-centred book in its words and pictures. It’s Not a Scribble to Me is ideal for children from age three as a facilitator of self-expression, creativity and boundless possibilities. 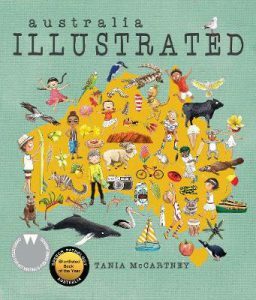 Australia Illustrated (2nd Ed. 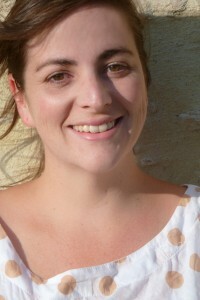 ), Tania McCartney (Author, illus. ), EK Books, October 2018. I absolutely adored this book when it was first released back in 2016. Now I (we all) get to relive the magic once again with this much anticipated 2nd edition recently re-published. Australia Illustrated is a visual festive celebration, the ultimate pictorial encyclopaedia of our beautiful land. Tania McCartney’s expansive array of detail and design, even if only a snippet, takes us on a wonderful journey around the country exploring major attractions to pockets of hidden gems we may have otherwise missed. My kids loved traveling around Australia; spotting familiarities, discovering new mysteries of the unknown, and giggling along at the cute and quirky nuances. Vivacious watercolours and a mix of media showcase the well-known to the unique. From the BIG and beautiful Queensland Mango and Big Banana in Coffs Harbour, the diverse native animals, bush tucker, sports, slang and weather, and a taste of idiosyncrasies from State to State. A gloriously scrumptious edition to pore over with the kids at home or away. 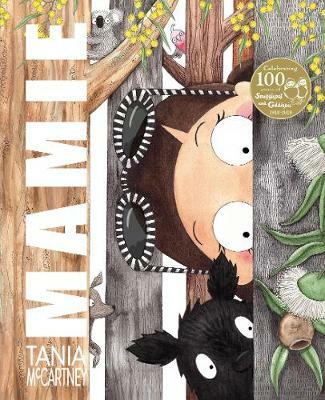 And another exquisite book from Tania McCartney that is a piece of art in itself is Mamie. Published by HarperCollins, November 2018. With her large, round gumnut eyes and angelic face, Mamie shares her story of adapting to change, fairies, pixies, elves and friendship. Celebrating the life of renowned and much-loved Australian icon – author and illustrator, May Gibbs of the Snugglepot and Cuddlepie fame, McCartney takes readers on a historical yet imaginative journey. She gently and expertly showcases the exceptional creativity, inspiration and achievements of Gibbs absolutely beautifully and with bunches of natural charm. Mamie is sure to win hearts abound, just as she has done over the past 100 years. The First Adventures of Princess Peony, Nette Hilton (author), Lucinda Gifford (illus. ), Walker Books, 2018. 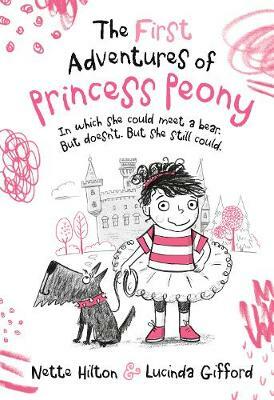 The attitude and tenacity of The Little Princess mixed with a quintessentially unique dialect like Lola (Charlie and Lola) together brings about this charming new face to the bookish world, Princess Peony. 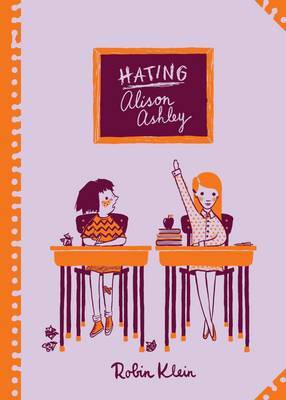 Partner that with the perfectly scruffy tomboy/girl-looking character in grey tones with pops of hot pink and you’ve got yourself a popular new series for girls (and boys) in the junior reader market. Princess Peony, the name which must be reminded to the audience every now and then, begins her fairy tale in front of her house, erm, Castle with her dog, no, Dragon; Totts. Her mission: to be Obeyed. But things take a wrong turn and her story is interrupted by Prince Morgan the Troll (aka, her big brother). Attempts to outsmart each other lead to some pretty hilarious events and a new mission to avoid child-eating bears. The text and pictures work brilliantly together providing plenty of visual literacy opportunities for readers to laugh about. And there is a remarkably True Princess Information and Quiz Sheet for all Princesses in Waiting to absolutely study and swear by. Just gorgeous! I will be buying The First Adventures of Princess Peony for my nearly six year old and all her friends! 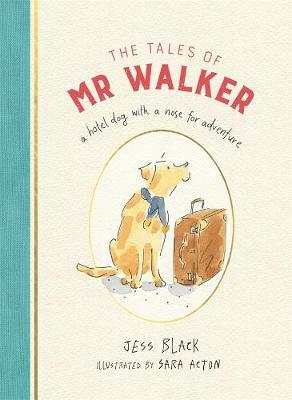 The Tales of Mr Walker; a hotel dog with a nose for adventure, Jess Black (author), Sara Acton (illus. ), Penguin Random House, 2018. The Tales of Mr Walker is inspired by a real-life Labrador named Mr Walker who is a Guide Dog Ambassador and helper at the Park Hyatt Melbourne. This is an adorable book containing four enchanting stories about life working at the grandest hotel in town. Targeted at independent readers from age eight, we are delighted with the adventures this canine companion takes us on, viewed from the dog’s perspective. ‘Tracy must like parks as much as I do’. With his Guide Dog training behind him, Mr Walker is very well disciplined and loyal. But naturally, he has certain things on his mind, such as chasing balls, and food. Romp along on the fun adventures with Mr Walker. He doesn’t disappoint. 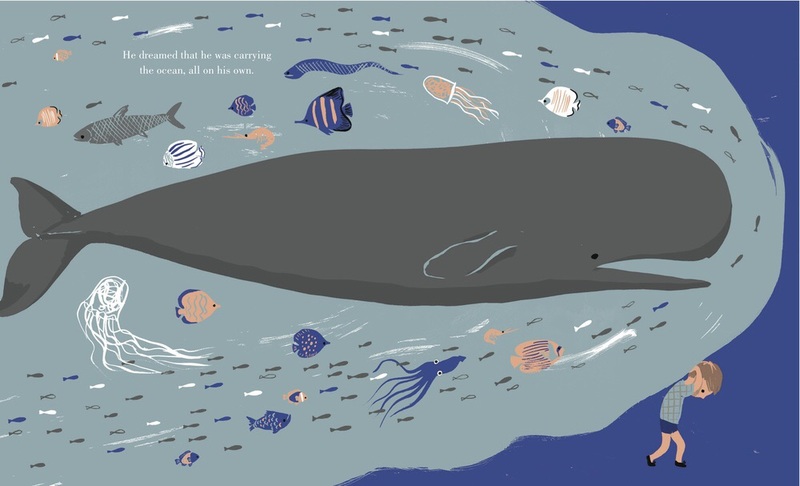 Fluid and bright illustrations bounce in and around the text. The cover is appropriately high-end with its linen bound spine and gold trimmings. Royalties going to Guide Dogs Victoria is just another excuse to pick up this book as a gift for someone you love, and someone who loves dogs. Even more great gift ideas for kids can be found at Boomerang Books here. Looking for beautiful books that capture your heart with themes of comfort, joy, encouragement, living life and nurturing this Mother’s Day? Here are a few that possess these qualities, and more, ensuring you’re bursting with love and light on your special day. 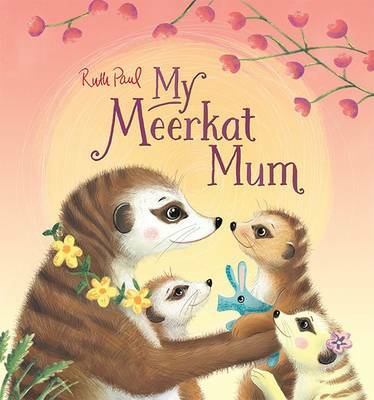 My Meerkat Mum, Ruth Paul (author, illus. ), Scholastic Australia, April 2017. Meerkats. Utterly adorable. Quirky. Funny. Eccentric. Fiercely protective and loyal. It doesn’t take much to fall in love with them, and here is a sharp-witted, sweet tale that you will fall in love with, too. Single words and short, punchy sentences establish the pace for the quick and tenacious characteristics of these feisty little creatures. “Up. Stretch. Left. Right. Sleepy Mum. Morning light.” The illustrations favour the same theatrics with their humorous assortment of snapshots showcasing the meerkats in each and every action. It is Mum’s duty to prepare her three pups for the busy day ahead. Ensuring they are meticulously groomed from every angle, they are ready to set out from their burrow for a lesson in hunting. But their work is not without misadventure as the young meerkats encounter a lick of danger. Luckily Meerkat Mum is there to assert her authority, security and comfort…as all good mums do! Ruth Paul has captured the heart of motherhood through her cheeky, vivacious story of possibly one of the cutest animals in existence. 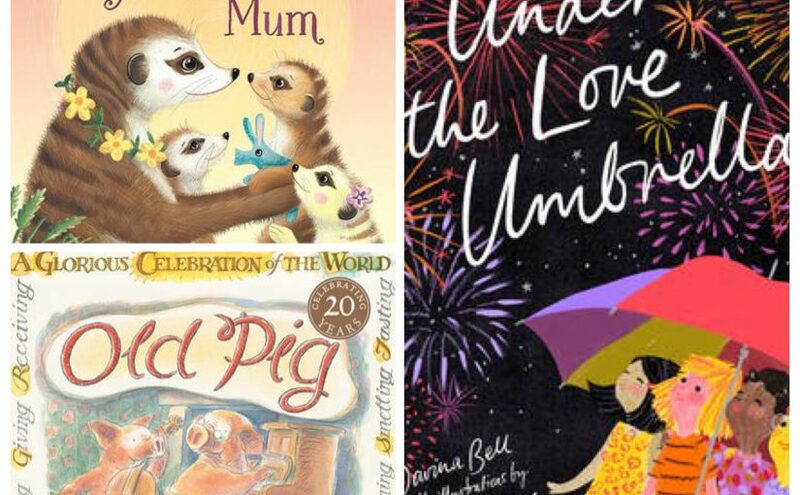 My Meerkat Mum is a delightful read for mums and bubs to share, highlighting the love and ultimate dedication of a Mum who’s work is never complete. A book that preschoolers will simply adore. Old Pig, Margaret Wild (author), Ron Brooks (illus. ), Allen & Unwin, Jan 2017. Written and illustrated by the legendary creators that are Margaret Wild and Ron Brooks, this heart rending classic remains as moving as since it was first published 20 years ago. The comfort in knowing you’re taken care of long after a loved one has gone brings peace and warmth even to the most broken of hearts. This story of living, giving, optimism, appreciation and infinite love will move you to tears whilst shining a beacon of light and hope in the places you need it most. It has been only Old Pig and Granddaughter for a long time. They are an inseparable pair, a tremendous team that work well together, but most importantly, enjoy each other’s company. 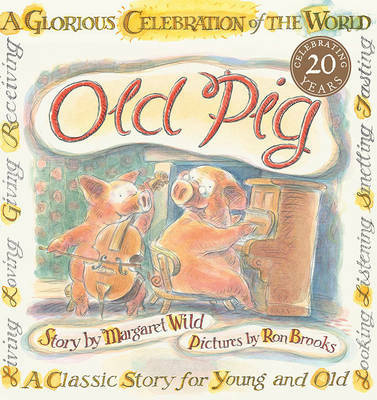 As quickly as we’ve fallen for this loving duo, we are shaken with a harsh reality that Old Pig is gravely ill. And Granddaughter is left to deal with her sudden sense of loneliness, alone. But Old Pig has some final affairs to prepare. Besides the bills, Old Pig gives Granddaughter the gift of peace and a sensational love for the world around her. “Do you see how the light glitters on the leaves?” “Do you see how the clouds gather like gossips in the sky?” And Granddaughter gives her own final gift too…tissues, please! This story that deals with life and letting go has been written by Margaret Wild with the most beautiful, sincere language in a spiritually uplifting and gentle manner. It emanates with an aura of goodness; that generosity, solicitude and serenity can fulfil one’s happiness. Brooks’ use of light and shade and autumn tones encapsulate the ride of emotions as well as capturing the beauty of a world infused with promise. Old Pig is a delicate look at loss in a story so filled with love. It is a reassuring book for early primary years children, and in particular those who have lost, or are especially close to, a grandparent. 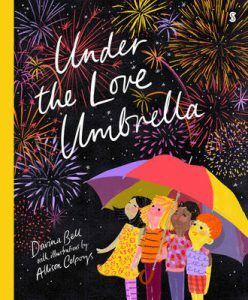 Under the Love Umbrella, Davina Bell (author), Allison Colpoys (illus. ), Scribble, Feb 2017. No matter where one is, physically, emotionally or spiritually, they can take comfort in knowing that they are deeply and truly loved. Under the Love Umbrella is a charming analogy and reminder for our children that they always have the security of our love despite their fears, mistakes, insecurities, and even their misdemeanours. Gorgeously poetic in its rhyming stance, Davina Bell uses sweet and mesmerising language to steal our hearts. A variety of everyday situations are captured, and are constantly brought back to the soothing words, “…love umbrella.” Whether they are experiencing unfair play, or feeling shy, moving house and strange new things, or bad dreams and big worries, the children can rely on feeling safe, considered and loved. Although it cannot be seen, love can be felt, even a long, long way away. 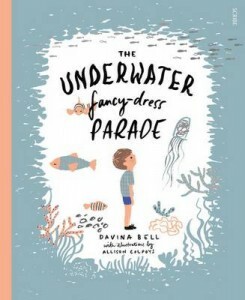 The simple colour palette with pops of neon orange is in similar style to this duo’s previous title, The Underwater Fancy-Dress Parade. Colpoys effectively attracts readers with her joyous and warm images, encapsulating a diverse population of family types and cultural backgrounds. Under the Love Umbrella is an encouraging, reassuring and light-hearted story filled with warmth for any parent to share with their young ones. It includes several themes that offer valuable discussion points, including the final question, “Who’s under your love umbrella?”. Often it is our differences, fears and anxieties that contribute to our feelings (or lack thereof) of self-worth. It is common within our society to feel out of place or lack self-confidence. But you know what? That’s OK! Maybe it just takes a little time to warm up, to find your feet and be ready to tackle the world. Understanding and accepting oneself can often be a process that takes maturing, and a gentle and sympathetic support system can be a vital part of that growth. The following two books deal with these tender matters in beautifully delicate and encouraging ways. The Underwater Fancy-Dress Parade, Davina Bell (author), Allison Colpoys (illus. ), Scribe Publications, 2015. A sensitive young boy named Alfie feels the weight of the world on his shoulders as he struggles with social anxiety. Naturally, he’d rather hide than face performing as Captain Starfish in the upcoming fancy-dress parade. Those all-too-familiar feelings of nervousness that he has experienced before return. Admitting his fear of failure to the cowboys on his wallpaper is scary enough, but how will his Mum react when he tells her he can’t go? Well, Mum (and Dad) are gratefully understanding. In fact, Mum takes Alfie to the aquarium instead. The underwater world is beautiful and wondrous, but upon spotting a starfish, just like his costume, he feels that heaviness weighing upon him once more. Fortuously it is a little shy clownfish that he connects with who shows him that it’s alright to wait in the wings (or coral, so to speak) until the time to emerge from the depths feels right. Davina Bell’s genuinely heartfelt and beautifully written text so effectively relates Alfie’s fears and nightmares in an empathetic, delicate manner. Equally, Colpoys‘s exquisite illustrations with their soothing blues and greys and pops of neon orange, and the fantastic use of space and perspective add that perfect depth of soul and vulnerability. ‘The Underwater Fancy-Dress Parade’ speaks into the lives of many children facing anxiety. A poignant and enchanting tale set to add a little sparkle and illumination to the more sensitive souls of this often daunting world. 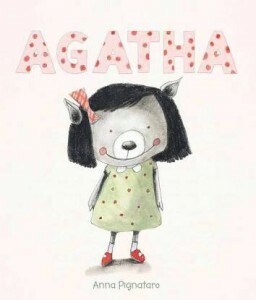 Being Agatha, Anna Pignataro (author, illus. ), The Five Mile Press, 2015. Here we have another reserved child fearing the judgement of others. But just like it did for the boy in Davina Bell’s book, it takes time and encouragement for this character to truly realise what makes her an individual and thus overcome her internal struggles. Whilst Anna Pignataro‘s simple narrative relays Agatha’s worries about her lack of belonging, it is her pictures that form the basis for its interpretation. 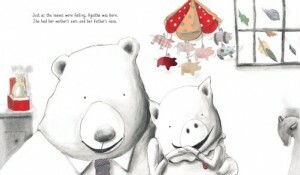 Anna’s language is sensitive and gentle, and her illustrations support these qualities unequivocally. The grey tones of the charcoal render the story’s restrain and softness yet carry a sense of similarity amongst the characters. And it is the pops of watercolours and collage elements that give life, spirit and individuality to each of them, too. A wonderfully eclectic mix that this book highlights of difference as well as belonging. ‘Being Agatha’ is a modest, sweet and intriguing story lightly addressing feelings of anxiety with a reassuring touch that a range of young children (and species) between 2 and 6 will be able to relate to. Thanks for talking to Boomerang Books, Davina Bell. What’s your background in books? I was the type of kid who read all night by the hallway light that peeked through the cracks of my bedroom door and wrote endless stories on old computer paper – the type with the holes in the side that you ripped off. So it was no surprise to me when I eventually ended up working at Penguin as a children’s book editor. Before that, I studied Professional Writing and Editing at RMIT, which is where I reawakened my love of writing after a long dormant phase. Could you tell us what prompted you to write your tender picture book The Underwater Fancy-Dress Parade (Scribe)? 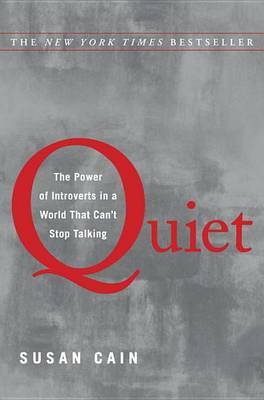 I had also just read Susan Cain’s book Quiet, which is about introversion, and how difficult life can be if you go through it believing that your introversion is a fault or a source of shame, rather than its own way of being, with its own gifts. How did you decide what Alfie’s costume for the Fancy-Dress Parade would be? I wish I knew! It wasn’t a conscious decision – my writing mind decides so many things for me. The more I write, the more I learn to just step out of the way and trust it do its work, and then to apply my analytical mind to editing and strengthening whatever it delivers. Captain Starfish was just there, in the story, and I loved him immediately, no editing required. Alfie’s parents are understanding and seem to know exactly how to treat him. Who are they based on/how did you craft them? While I was at university, I looked after the children of many families and I saw many different parenting styles at work. My friends are all now just having babies, and that has been really interesting to watch, too! So Alfie’s parents are a blend of the best bits I have seen: patience, a desire to see how the world looks from a child’s point of view, open communication, and a willingness to take each child and each day on its own terms. Are you worried about Alfie, such a sensitive child? Do you know what? I think Alfie is going to be okay! His parents really seem to understand and support him, and I think they’ll give him the space and support to realise that his introversion and sensitivity are, in many ways, a gift. It is hard to be sensitive – I know from experience – but you are also so awake to the world in all its tragedy and wonder. What’s the significance of the cowboys on Alfie’s wall? Your writing is subtle and your words carefully chosen. How important is the quality of the writing to you? Thank you! Having worked on many picture books during my time at Penguin, I realise the importance of every single word – how it’s thought over, taken out, put back in, played around with. This is the process I went through with my text because I absolutely believe that we owe it to the child reader to make their early experiences of books really high-quality ones. I also wanted to tell a story about shyness and sensitivity and introversion without talking specifically about those concepts, and that pushed me to be subtle and to tread lightly. 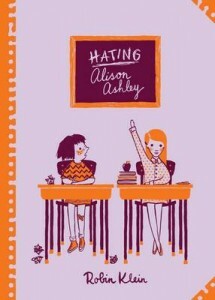 How closely did you collaborate with the illustrator, Allison Colpoys? I was lucky enough to collaborate extremely closely with Allison on the book – we have a fantastic working relationship and a shared vision, so it was such a glorious process to go through together. We workshopped every creative decision, big or small, and it was so much fun. As a long-time fan of her award-winning cover design, I feel incredibly blessed to have had her illustrate Alfie’s story. Nobody can believe this is her first picture book!